Wex Photo Video has been kitting out photographers of all levels since the start in 1997. With more than 800,000 customers raving about everything from its incredible service, diverse catalogue offering and exceptionally competitive prices - now’s the time to get on board with Wex Photo video. As the biggest photo retailer in the UK, it’s no surprise that you’ll find over 19,000 outstanding products from world-renowned brands. So if you’re looking to broaden your photographic horizons then you’re in the right place. From all types of trusty cameras to tripods, filters and lighting solutions - you’ll be able to invest in the tools that will give you that perfect picture. Whether you’re looking for a compact digital camera or a heavy duty DSLR - Sony, Fuji, Nikon and many more are sure to impress you. Specialising in photography, Wex really knows its lenses, which is why you’ll even find an Astronomy and Optics section to take your gaze that little bit further. With accessories available to facilitate your photographic journey - from taking those snaps to editing them online - you’ll be sure to reap more from your love of photography with the help of Wex Photo Video. How do I use my Wex Photographic voucher code? Copy a voucher code and click the ‘shop now’ link to head over to Wex Photo Video. Add what you’d like to your basket and check out when you’re ready. Log in or create a password and enter your delivery information. On the order summary page you will be able to enter your voucher code. Click ‘Apply’ to redeem your savings and continue to check out. A part exchangeable service is available at Wex Photo Video​, so your old camera could save you a bob or two on a new model! Does Wex Photo Video offer a repairs service? Indeed, all of your photography goods can be tended to with Wex Photo Video, get started online. Will used Wex Photo Video goods come with a warranty? Used goods will come with a 12-month warranty to cover any faulty items that were bought second hand. Be sure to check the Terms and Conditions. Can I track my Wex Photo Video delivery? You will receive an email when your order has been dispatched, simply use the tracking link provided on the courier website. You can also login to your Wex account and find your tracking information there. Standard Delivery is £2.99 or free on orders over £50 and takes 4-5 working days. Next Working Day Delivery costs £4.99 and weekend delivery is available from £7.95. You can return goods within 30-days of their receipt, simply get in touch using the contact form. Email Wex Photo Video using the online form or use the online chat. 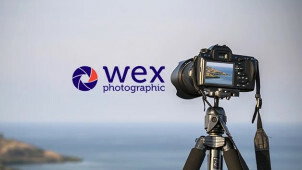 If you’re a pro or even amateur photographer, you’ll be able to indulge your favourite hobby and perhaps step it up a notch with Wex Photo Video. Offering unparalleled service and photographic expertise alongside professional cameras, equipment and much more from the photography world - a Wex Photographic voucher will let you get your hands on the latest goods from renowned names like Nikon and Canon. For your DLSR camera, an impressive lens and accessories, you’ll get all the innovation you need from Wex Photo Video. There will be no end to your learning with Wex Photo Video. You’ll find an insightful hub of information, hints and tips on the Blog. With camera reviews, buying guides and more to discover, don’t wait to join the camera club to find out those trade secrets and you’re sure to start impressing yourself with your new found photography skills. Keeping you updated with news too, from the merge of Wex Photographic and Calumet, to the photography events of the year, this is where you’ll go pro. When you’re looking for the latest and greatest camera model but on a tight budget, Wex Photo Video has a selection of second-hand cameras and lenses to suit every budget. Just like their team mates at Calumet Photographic, you’ll find Canon, Fuji and Nikon models a plenty, but all for less! Especially when you pop a Wex Photographic discount code into the mix. In fully working order of course - some may even have only been demos - explore your options and you’re in for a treat with Wex.